2018 has been a spectacular year for Orange Marketing. 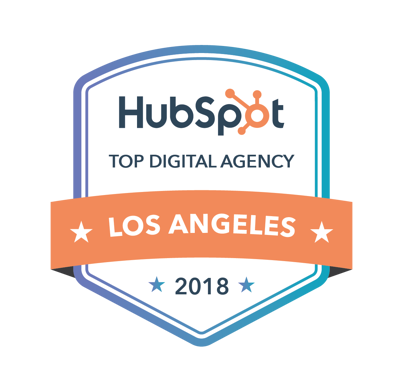 To be named one of the top agencies in Los Angeles, well, that's an achievement that makes even us slightly dumb founded. 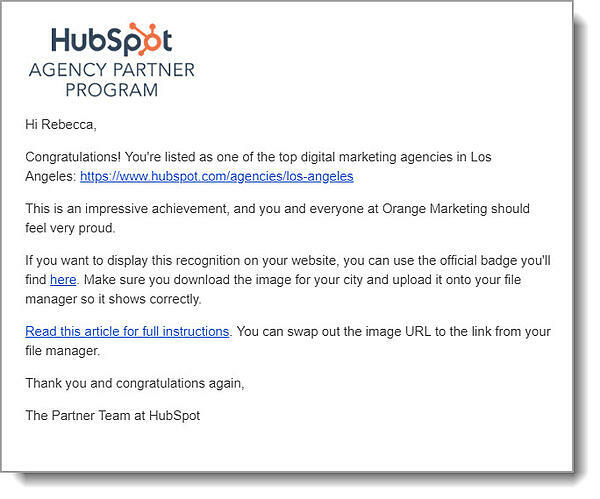 Ahhhh, So exciting to be listed on the same page with some of the HubSpot agencies we most admire, How were we selected? Damn if we know, But we love awards. And website badges. And diamonds.